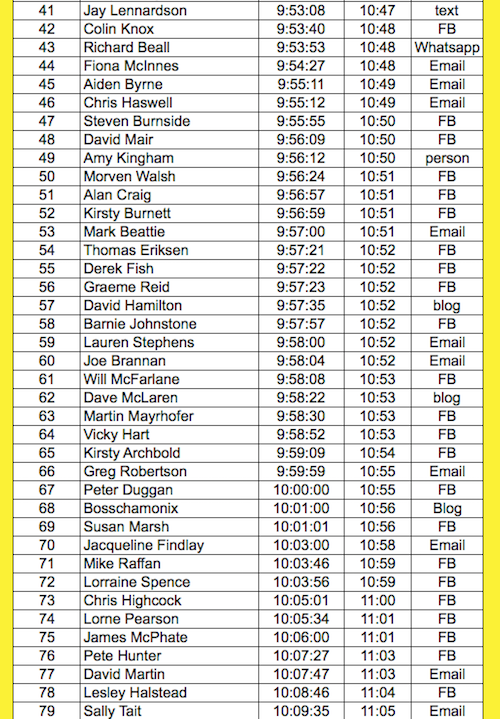 Thank you for all those who have entered my ‘Guess My Time’ Competition for the Cateran 55 Ultra Race. The 97 guesses break down as follows …. So the majority of times are in the 15mins under 10hrs. There has been a little discussion on Facebook as to which is the harder the Highland Fling or the Cateran. 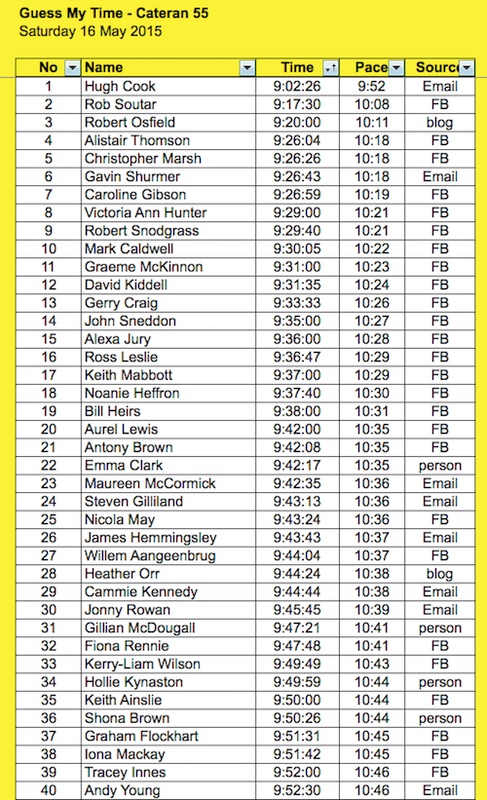 I posted that before I did the Cateran in 2010 that it would be easier but in that year I did both and my times were within a minute of each other. I also thought that the Hardmoors 55 is very similar to the Fling and by the above to the Cateran so I’m wondering how my 9:35:40 in this year’s Hardmoors will equate to the Cateran on Saturday. There is only one way to find out!! Finally I’d like to wish all the runners both the in 110 which starts on Friday night and the 55 a great race – I look forward to seeing some of you on the trail. Thanks also to Karen and her army of volunteers who give up their time to organise this great race so we can run safely. Karen posted that she used 121 polly pockets in putting together her information packs for the volunteers. I’d take this as widespread confidence in your current fitness and skills as an ultra runner. Personally, even if you have a bit of an off day you’ll still put away a very respectable time as you’ve built such a solid foundation. Fingers crossed that things will go like clock work and you’ll enjoy the whole day. 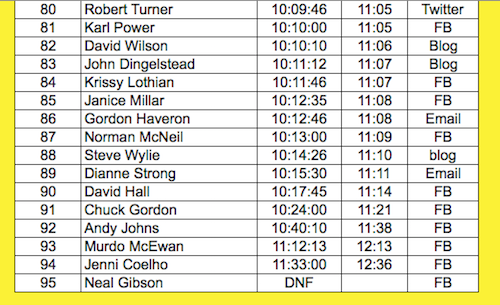 BTW, next year you’ll need to do the Fling and WHWR once again, just so we can calibrate how the H55, Cateran and Fling and WHWR all compare w.r.t finishing times… And yes I do think a sub 10hr Fling and sub 20hr WHWR are perfectly possible.